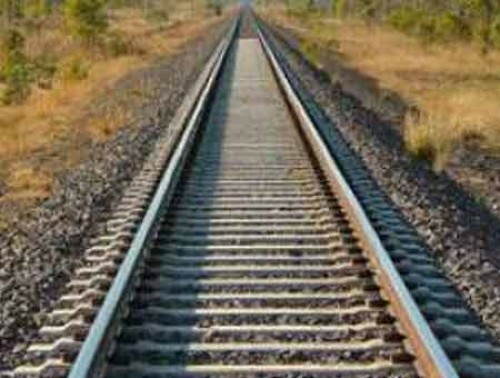 Agartala, Oct 28 : India and Bangladesh will restore the pre-1965 status of rail connections between the two neighbours, Bangladesh Railway Minister Mazibul Hoque said here. "India and Bangladesh will jointly restore the pre-1965 status of our rail connections. "Currently India and Bangladesh have four operational rail links between West Bengal and western Bangladesh. More rail connections would be restored in the near future," Hoque told IANS here on Friday night. "The Agartala-Akhaura (Bangladesh) new rail link will be operational within a year. Funded by India, the necessary works for laying the new 15-km rail track between Agartala railway station and Akhaura railway station has already started." The Bangladesh Minister is here to attend the Rotary Clubs of India and Bangladesh's two-day third "Setubandhan" international programme. The state-run Indian Railway Construction Company (Ircon) will lay the five km track on the Indian side while the remaining 10 km would be laid by the Bangladesh railways. The Rs 963 crore ($145 million) project was finalised in January 2010 when Bangladesh Prime Minister Sheikh Hasina met her then Indian counterpart, Manmohan Singh, in New Delhi. Former Railway Minister Suresh Prabhu and his Bangladeshi counterpart, Majibul Haque, jointly laid its foundation stone here on July 31 last year. The Indian government would bear the entire cost of the project. The issue had also figured during Prime Minister Narendra Modi's meeting with Sheikh Hasina during his visit to Dhaka in June 2015. "India is the best friend of Bangladesh. The country sheltered lakhs of Bangladeshi men and women in the 1971 Liberation War and helped a lot to create a sovereign country of Bangladesh," said Hoque, who is himself a Bangladeshi "Mukti Yoddha" (freedom fighter) and trained in Tripura during the nine-month-long war. The four operational railway links between India and Bangladesh are Petrapole-Benapole, Gede-Darshana, Radhikapur-Biral and Singhabad-Rohanpur. Two more rail connections have been proposed. Feni (Bangladesh)-Belonia (India) will connect Tripura with the Bangladesh sea port of Chittagong, and West Bengal's Siliguri will connect Panchagarh in North-Western Bangladesh, opening the scope for future cargo movement. India's External Affairs Minister Sushma Swaraj during her visit to Bangladesh earlier this week said a significant area of the bilateral cooperation is the quest to increase connectivity through restoration of pre-1965 links encompassing road, rail, water and coastal shipping. The frequency of the Dhaka-Maitree express has been increased. The journey time of the Dhaka-Kolkata Maitree Express will be reduced from nine to six hours, by doing away with the two-phased immigration checks at the Indian border of Gede and Bangladesh border of Darshana. The inaugural commercial run of the Kolkata-Khulna second passenger train service is expected to start by the middle of next month. More bus services linking the cities of Bangladesh and India have also begun. The Kolkata-Khulna passenger train service was operational till 1965.